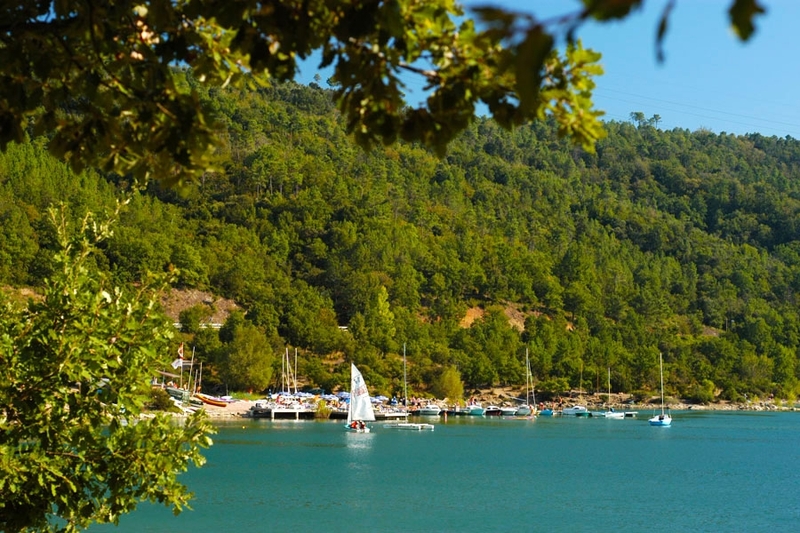 The lake of Saint-Cassien is nestled between the hills of the Fayence region, between the coast and the hinterland of the Var, stretching over 420 ha. As an oasis of refreshment during the hot summers, the lake is ideal for the practise of water sports. You can swim, row, take a pedal boat, windsurf or practise stand-up paddle. Around the lake, you can easily hike. On the west side of the lake, you’ll find a biological reserve with beautiful flora and fauna.